Our “3G Network” model is a high-performance booster which covers areas up to 150 sq. m. It’s great for small houses, offices, apartments and more. The Networker Lite model has both automatic and manual controls giving you a very stable signal. Made especially for a 3G network, it will boost major Ireland operator’s signal for the frequency 2100 MHz. 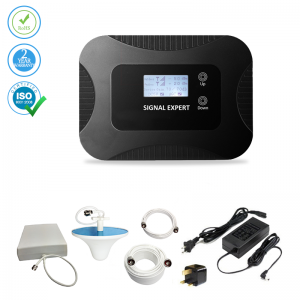 If you are a 3G data user and looking for an adjustable control signal booster this model be the right choice for you. 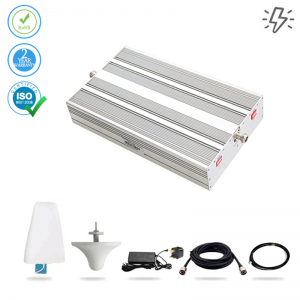 It supports a frequency spectrum of 2100 MHz and gives you the power of manually adjust it according to your wishes covering up to 150 sqm. The sleek design is optimal for better output and promises “5-bar constant signal” availability within its coverage range. You can use our booster with 100% efficiency in entire Ireland and install it anywhere you wish within 15 minutes. We provide a full installation kit with everything you will need. 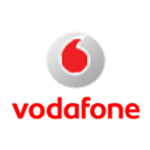 The impressive design paired with great technology has created an excellent signal booster, that can boost Vodafone Eir (Meteor) network operators. There are no harmful emissions related to our product. We guarantee your satisfaction, but in case of a rare glitch, our professionally trained support staff is there to assist you 24/7. We will have you up and running in mere minutes! 2110~ 2170 MHz AC/220V±10% 45~55Hz 165*115*35 (mm) 0.5 KG. I only needed to improve the signal in my home office and this booster dd the job nicely. Signal here is very hit and miss. I thought I'd try this and boy does it work. We have 5 bars and excellent reception on all phones now, even better than landline. Simple to register and set up, takes about 1 minute to come online from being off. Thanks to your great product I have perfect reception inside my home. Went from weak service to solid 4 bars. The unit works well for us. Great price and even greater quality! This item was exactly as it is described on the site, cannot fault it at all Gone from 2 bars to 4 or 5 depending on which room I'm in. This signal booster works well on my mobile (EE Network) , can't speak for any other networks though. The whole family is happy with this product, it works great on all of our devices, very happy all round. Device is very high-quality, as are the cables included. It's crazy to think that I went all these years without owning a signal booster, it helps so much in general everyday life. I can finally stream the shows and games I've been trying to for years! I was having an issue where my phone wouldn't get more than 1 bar of signal, after buying this booster my signal is always above 3 at least! My bars improved with this product if I stayed in the same room with the booster. It works perfectly and really keeps signal stabilized. Now I can answer every call and no more worry about dropped calls. I gave it 4 stars because I think the antenna box could be made smaller but overall it is really good and easy to use!!! Follow the directions. It will work as advertised. I went from 1-2 bars to 5 bars. I needed this product to give me a stable and reliable signal inside my office and it really does the trick. I set this up pretty quickly and was pleased to see an instant boost of two bars on my phone. We own a static caravan on a holiday park in a poor signal area and trying to get online or use the phone while we were staying there was a real pain. Now our holidays will be much easier thanks to this handy amplifier. I was worried it might be hard to set up, but it was really user-friendly - I'm really pleased. My son bought me a mobile phone for Christmas, but the signal turned out to be bad where I live - I live in a rural area - this handy piece of kit has made all the difference. As an EE customer, I used to get really frustrated that my phone didn't work properly when I was on the ground floor of the house. Now I've got 3G everywhere in my home and I can make a call from any room - wonderful! I could never get a signal in the house, which was pretty useless since I work from home. Since I bought this product I can finally use my mobile at home - it's wonderful! I read the reviews on all the top name boosters. And with only a remnant of hope chose Mobile Signal Boosters. The unit is truly easy to set up, and if you follow the simple directions, it works great! it works. It boosts my reception by two to three bars. Works well and easy to install. Put it up in my metal shop building and it boosted the signal from one bar or less to three to five bars. Excellent product and excellent seller! It gave us 3-4 bars when we sometimes had only one. Worked as described but wish it was a bit more consistent/stronger. Make sure you have signal somewhere 1-2 bar minimum before buying. 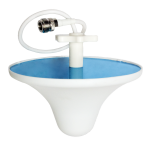 It definitely helps you get a better signal, but you must be directly in front of the indoor booster to get a better signal. If you want one that you can use in more than one room, get a stronger model. I installed this booster per instructions and got two green lights immediately. Now I have 4 bars anywhere in my home! 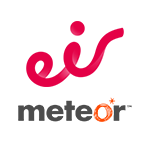 We received our Mobile Signal Boosters two days ago and we're happy to say that it is working wonderfully. We regularly dropped calls and had to stand in certain spots in our house for our cell phones to work. Upon installation, we noticed an immediate improvement. Our bars went from one or none at all to between 3 and 5.This has been such a relief to us because we do not have a landline, and we had grown increasingly frustrated with our poor coverage. I would highly recommend this product. The only thing that we noticed was you have to follow the installation instructions very closely. If the product is installed correctly, it does what it promises. I used to have dropped calls at home if I went away from the front windows. Now I have 4 or 5 bars through most of the house. This is well worth the cost if you rely on your phone for work, being on-call, etc. Did what they said it would do. That is a rare thing in today's world. Purchased this product and I'm using it in a rural area with very poor signal.This product has increased signal strength substantially and would recommend it. You do have to do your homework installing the antenna in the best direction related to your cell phone provider. As the specifications say, this product is for a small area. Don't expect to get much help except in the room where the transmitter is located. But there it does the job, and that's what I needed. It would be nice to have a stronger transmitter, but for the price, this did the job. Once we hooked it up, I could tell my phone had a couple more bars. It really did improve our cell service but wasn't amazing like I thought it would be. I could not believe it but it really does work. We have a metal roof and I had signal if set my phone in the window and did not touch it. but now I have signal in my office and I do not even have the antenna outside! I have it in my house attached to the window from the inside. I normally do not write reviews but this product was really worth talking about. I followed the directions and mounted the antenna on the outside wall on the third story. We live on the ground floor, and I put the amplifier almost directly beneath the antenna (not exactly beneath, as the amplifier is inside while the antenna is not), and it works quite well. We have great service throughout most the building now, including the basement! Certainly better than nothing, but not as good as I had expected. It boosts whatever minimal signal there is where you place the outside antenna but don't expect miracles here. If you truly have no signal this will not manufacture one. This device has completely fixed my poor signal problem. Great reception in my home. 5 bars all day every day. Calling from my upcountry cabin has never been so easy as it is now with this device in place. Good things speak for themselves, I will recommend this booster to my pals. Thanks to my instinct for letting me try this product, it’s better than the others I’ve had. After using this product, I would recommend it to others many times over. Easy to buy, easy shipping, exact order! Great product, quick service and shipment Thank you! 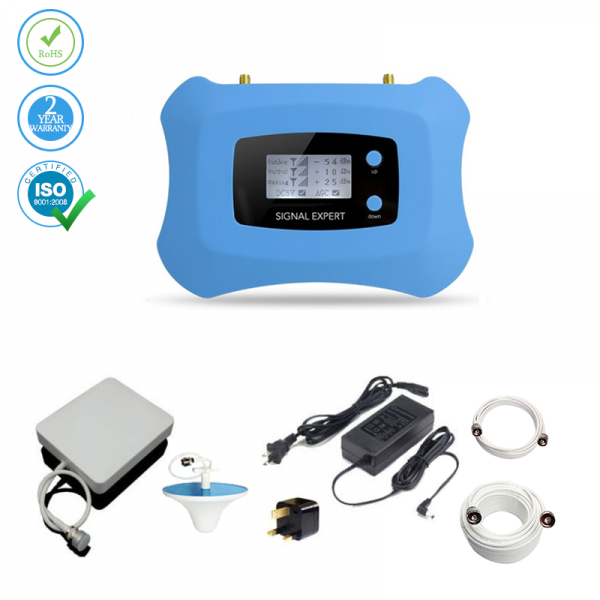 The booster was easy to install and set up with the detailed instructions included and changed the cell and internet service from "0" to clear and dependable! Thank you for a fine product for a fair price! The power supply was bad out of the box. Just received a replacement today, 5 days after reporting the issue. Probably the best help associates I have ever dealt with. Knowledgeable and very willing to help. So far so good no problems these make life so much easier. This device is very simple to install. Just hook it up. Anyone could do it. It definitely helped increase the signal, although the strength went up and down, which could very well be the signal strength outside (we are surrounded by trees). I can finally make a call from the house which I could never do before. Finally I can use my phone around the house. Before reception wasn't good enough to hold a conversation or use data features. Now visitors have no problem calling or texting. If you have minimum coverage in your roof, I highly recommend this device. Right after receiving the equipment, I did a temporary test by laying the antenna on my roof on a two story house in a rural area and running the cable through the window to my ground floor. I use to have 0 signal in the ground floor and it immediately jumped to 4 bars. I was able to place a crystal clear call. This is a perfect item and does help with the cell phones. Works great, whole house coverage now! I was able to turn off internet saving me $50 month. Bought this a couple of weeks ago. We have better cell signal. Instead of 1 or 2, we get 3 or 4 bars now. Went from 2 bars to 4 bars. It does what they said it would do. Happy customer!!! Signal has gone from one bar to three. Difficult to set up. YES! From 1 to 5 bars in my home office! Two Thumbs UP! I had to stand in a nook in my kitchen or a corner bedroom to get reception before. Now I have reception throughout my house and in my basement. The product works great and installation was easy. This item works great!!!!!!!! I went from one or two bars of signal to almost always full signal all over my home! We researched before buying. It does great if you are in the same room with the device. If you move to another room is does not help that much. If I were to do over again I would get the bigger one. Was an easy process and was given a good discount at check out. I did have to pay an extra delivery import change by the courier which I didn't expect. I received my booster in good time and installed it in my residential caravan and it's working fine. Following installation, the signal in our house is strong. We had next to no signal prior to installing the booster. Excellent product, not too hard to install. Would highly recommend. This unit was just what my parents needed. They live outside of town and had poor cellular reception. We purchased this unit and installed it at their house where they had no signal and it instantly gave them about three bars of LTE coverage. I tested download speeds and got over 4mb of speed inside the house. I would definitely recommend. My cell phone signal has improved 99% since we purchased this new booster. The other one worked fine and every now and then we have trouble getting our call through , which could be because the network could be busy. We live in the boonies and needed a cell phone boost. I was skeptical but this product does exactly what it says. I hoped to be able to mount on inside window but knew we'd have to do an outside mount. The big decision is where to place the antenna. Once that's accomplished, it was an easy install. It was a self installation. I now have 3-4 bars instead of 1 inside my house and don't have to run around the yard looking to get more reception. It worked like the box said it would. It will not give you super signal strength but it will give you better service. 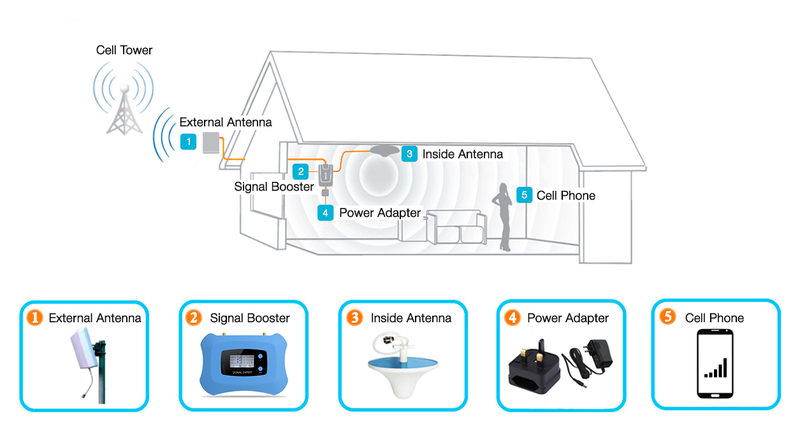 Can the signal booster be password protected to minamise the amount of users. 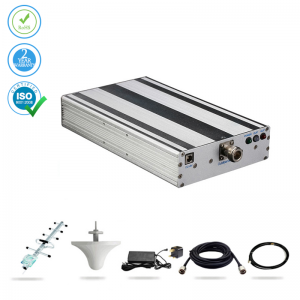 Cell Phone Signal Booster 3G Network - 150 sq. m.
3G Mobile Signal Booster for all Ireland 3G networks. 150 sq.m. coverage | Free Ireland Delivery | 1 Year Warranty | 24/7 customer support!